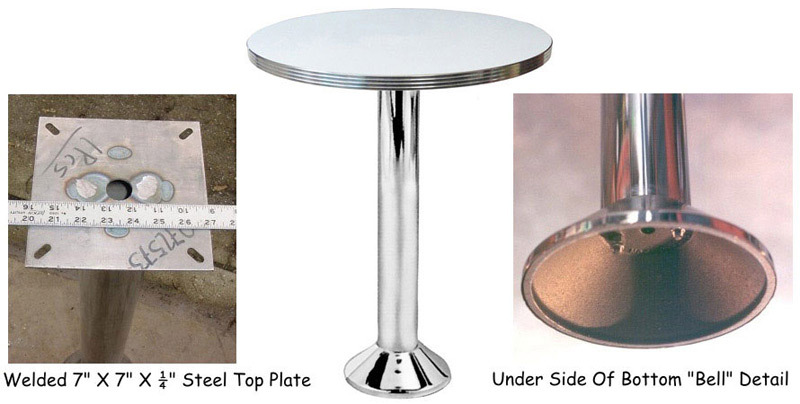 Closeout chrome bolt down table bases available in counter height 34 ¾"
Two Available. Made in the United States. ( Table Top Not Included ) 3 1/4" Diameter Chrome Column - 9 1/4" Diameter Chrome Bottom. Copyright © 1999 - 2018 Petersen Furniture International, Inc. All rights reserved. So there!